Laissez les bons temps rouler! 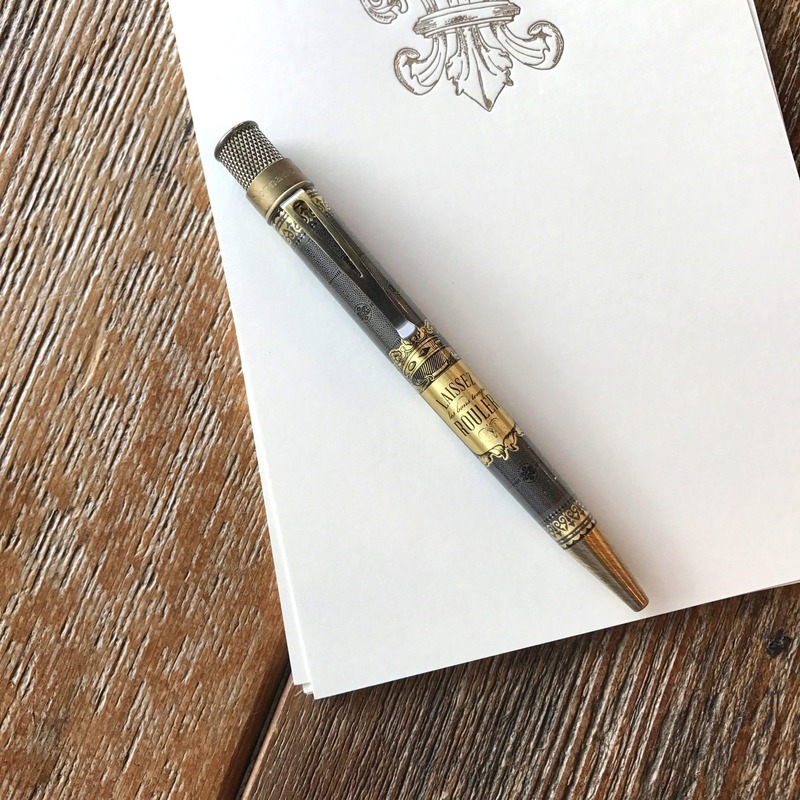 Scriptura’s custom Retro 51 fountain pen features our Laissez Crest design. Our design is inspired by the elaborate cartouches of antique maps and engravings, which we reinterpreted as a crest that embodies the celebratory nature of New Orleans. A black cherry pinstripe background surrounds the crest. Accents are brushed antique brass, and the pen body is printed in varnish. 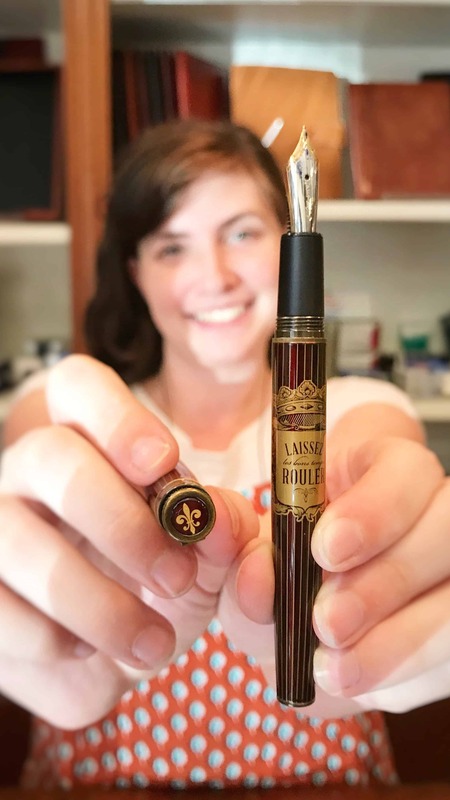 The pen has a two tone gold nib and features a fleur de lis on the top of the pen cap. The packaging is a black tube with a gold foil stamped scriptura logo. 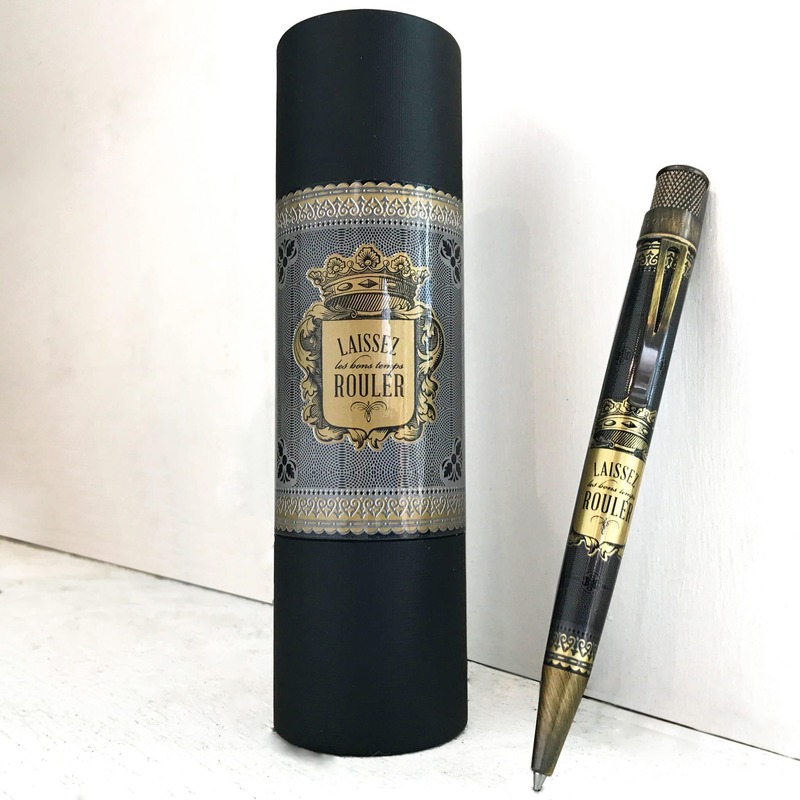 These pens are limited edition with a small production run and are $90.00 each, available here, in our shop. Doesn’t it make you want to pick up your stationery and write a note? Laissez les bons temps rouler! Scriptura’s newest custom Retro 51 Tornado features our Laissez Crest design. Our design is inspired by the elaborate cartouches of antique maps and engravings, which we reinterpreted as a crest that embodies the celebratory nature of New Orleans. A charcoal background with black and gold embellishments surrounds the crest. 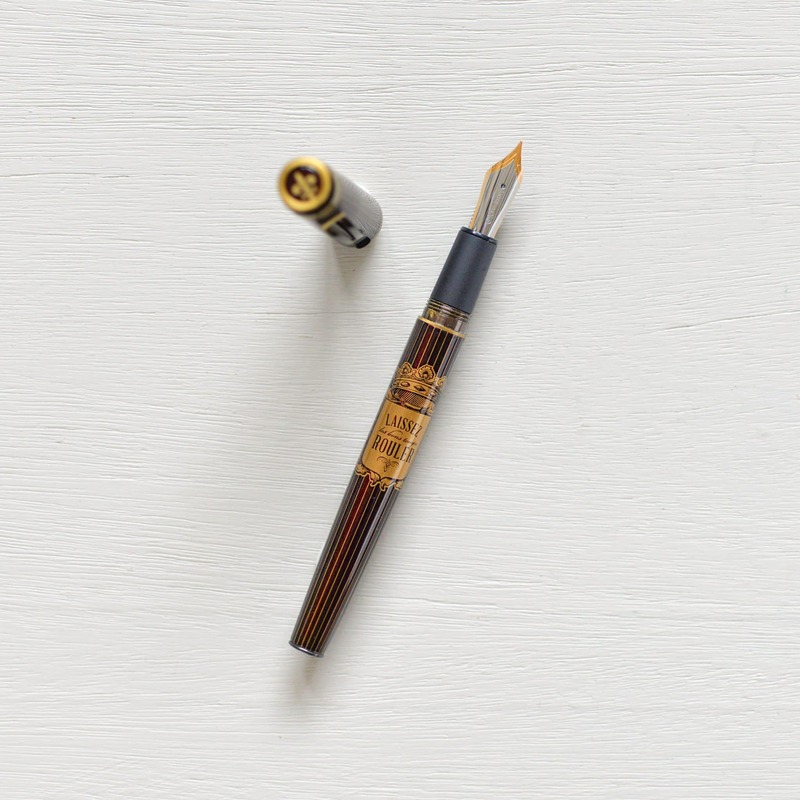 Accents are brushed antique brass, and the pen body is printed in matte varnish. The label on the packaging features a representation of the full wrap of the design. These pens are limited edition with a production run of 300, $50.00 each. Doesn’t it make you want to pick up your stationery and write a note?